Winner of the Blue Peter Best Story Award 2016 and the Scottish Children's Book Award 2016, and the North East Book Award 2015. When the mysterious Nowhere Emporium arrives in Glasgow, orphan Daniel Holmes stumbles upon it quite by accident. Before long, the 'shop from nowhere' -- and its owner, Mr Silver -- draw Daniel into a breathtaking world of magic and enchantment. But when Mr Silver disappears, and a shadow from the past threatens everything, the Emporium and all its wonders begin to crumble. 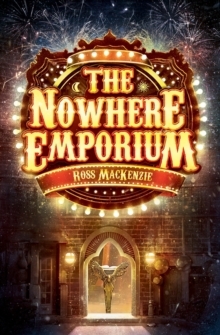 Can Daniel save his home, and his new friends, before the Nowhere Emporium is destroyed forever?Ross MacKenzie unleashes a riot of imagination, colour and fantasy in this astonishing adventure, perfect for fans of Philip Pullman, Cornelia Funke and Neil Gaiman.